Roy Ritchey 'Rickey' Bell, Jr. of 3 Cottage Place, Amityville, Long Island, New York, was born September 21, 1937 in Hartford, son of Hartford native Esther Eldora (Adams) and Canadian-born Roy Ritchey Bell, Sr., a sheet metal mechanic in the aircraft industry. 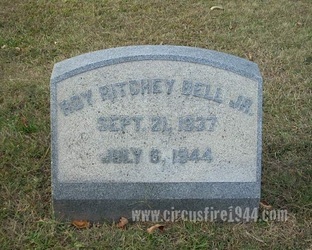 Rickey was found dead at the circus grounds after the fire on July 6 and was buried at Grove Hill Cemetery in Vernon after services at the James T. Pratt Funeral Home. 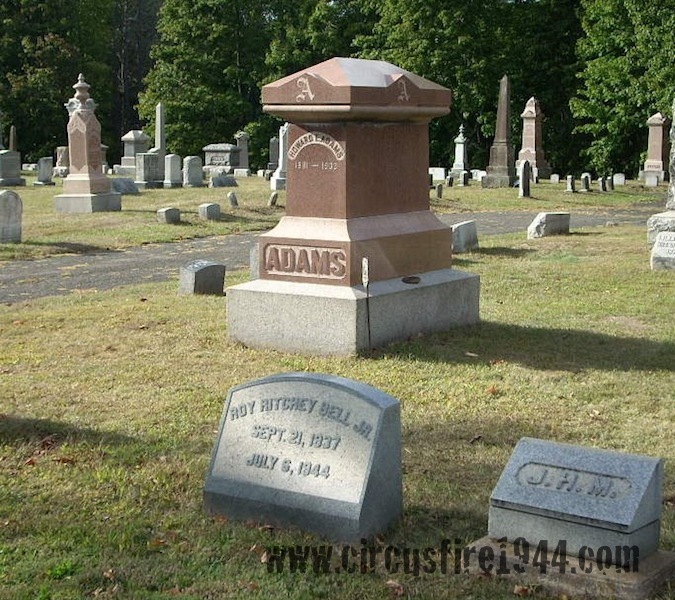 His maternal grandmother, Gertrude Adams, was also a victim of the circus fire. Body #4504 was identified as Roy Bell, Jr. by his father at the State Armory on Friday, July 7. His estate was awarded $6,500 by the arbitration board. Rickey leaves his parents, and no siblings.